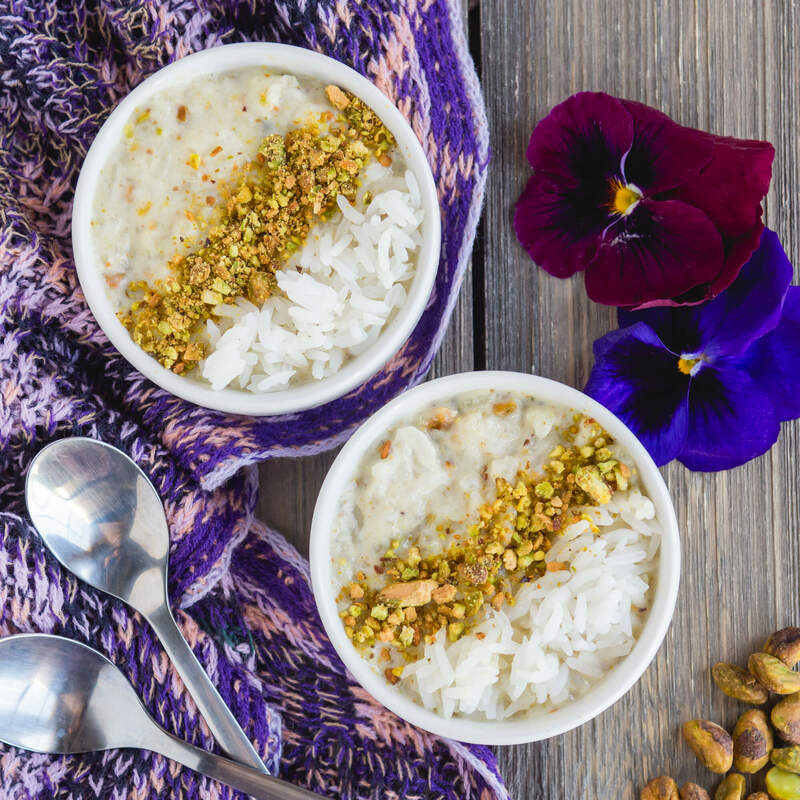 Love is in the air and on your dinner table with the rose water flavored sweetness of Royal Jasmine Rice Pudding! In a large, heavy-bottomed pot, bring the rice, milk and cardamom to a boil over medium-high heat, stirring constantly with a heat-safe spoon or spatula to help keep the milk from burning. 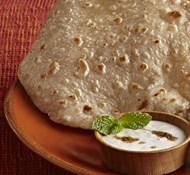 Reduce the heat so that the milk is gently simmering and cook for 55 to 75 minutes, stirring often. 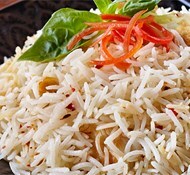 The rice should be tender and the milk will have reduced by half, giving a porridge-like consistency. Add the sugar, rosewater or vanilla and pistachios. Stir and turn off the heat. Serve either warm or chilled, garnished with extra pistachios.